The Kingston Springs Parks Department provides residents with access to recreational facilities and cultural opportunities throughout the year. Town staff maintain the 173 acre parks system, which has become known for its quality and is a hallmark of the Kingston Springs area. The Parks Department rents portions of parks facilities for special events. These rentals include - Park Pavilions, the L.L. Burns Park Activity Center, and the Baseball/Softball field at City Park. 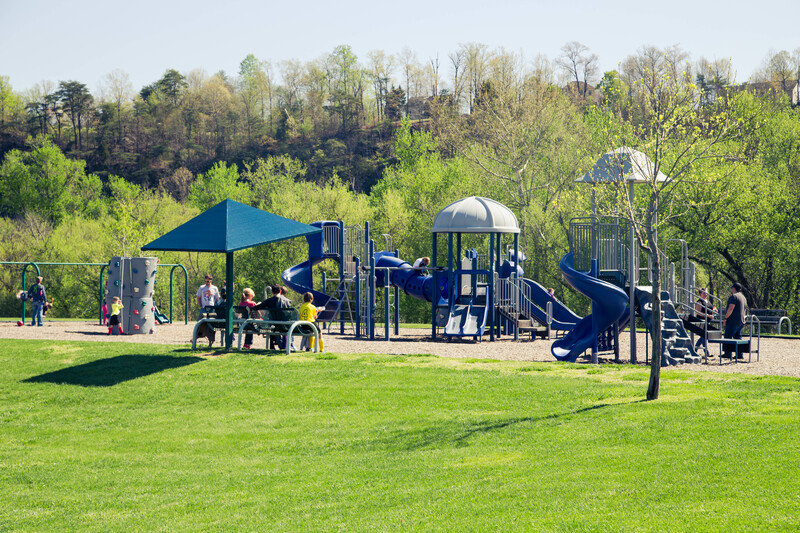 Please call City Hall at 615-952-2110 for rental availability, or complete the Park Facilities Rental Form found HERE and bring to city Hall at 396 Spring Street. Please note, rental of the Activity Center will require you to obtain Event Liability Insurance. Please see the Rental Application for additional details. Please call Parks Director Brandy Miniat at 615-952-9885 with questions. Community Yard Sale - Residents participate in an area yard sale throughout Kingston Springs and in surrounding Cheathm County. A map of yard sale locations is distributed electronically and in paper form to local businesses the Thursday before the event. The Community Yard Sale is held annually on the third Saturday of May. Catfish Rodeo – A catfish rodeo is held at L.L. Burns Park in conjunction with the TWRA Free Fishing Weekend, in early June each year. 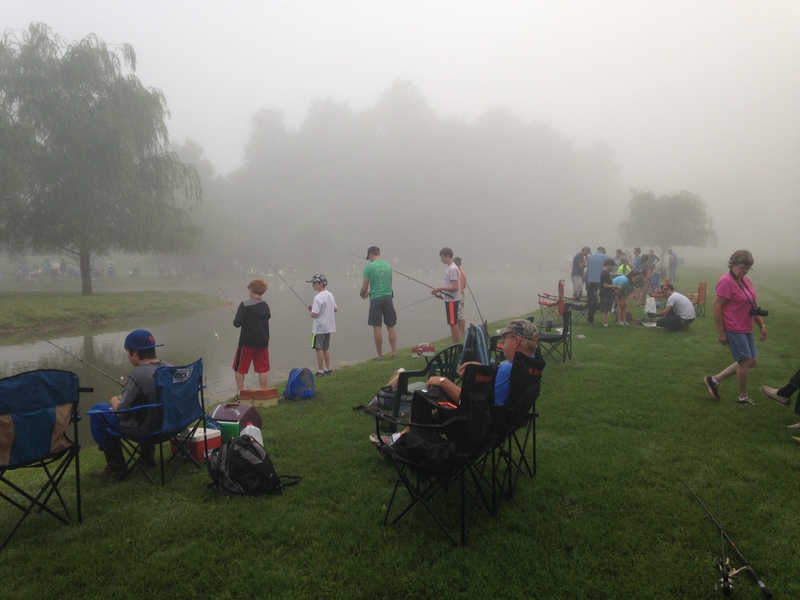 The pond is stocked with fish and an early morning of exciting fishing always ensues. The event is for children ages 4-12, is free of charge, and features several prizes and trophies. Easter Egg Hunt – Thousands of eggs are hidden in City Park for this event, held on the Saturday one week before Easter. Children are divided into age groups for hunting eggs, and several prizes are awarded. The event is free to attend, but you need to bring your own basket. Don’t be late! Hunting starts promptly at 10:00 a.m. and eggs go quickly. Art in the Park – Kingston Springs’ largest annual event is a competition and show for artists 16 years and older. The event is an excellent opportunity to view local talent and to purchase a piece of masterpiece from an area artisan. Art in the Park is held the first Saturday in October at L.L. Burns Park from 10:00 a.m. to 4:00 p.m. and is free of charge. To take part in Art in the Park complete and submit this application. Kingston Springs Farmers and Artisans Market - Offering a source for fresh, local produce and hand-crafted goods in Kingston Springs, Tennessee. The Kingston Springs Farmers and Artisans Market offers the community a place to gather, to glean from the wide variety of fresh, healthy foods and products creatively made by their friends and neighbors. See our website HERE. A social group for those 60 and over, the Kingston Springs senior citizens groupincludes a monthly lunch and two monthly bingo dates. Other special events are planned throughout the year. For more information, please contact the Parks Director. The Parks Department offers a youth soccer league every spring and fall. The rec league is comprised of a 10 week season with games occurring each Saturday morning. Players, coaches, and referees are all community members. To sign up for youth soccer please submit a completed SPRING 2019 APPLICATION. For questions, please contact Parks Director Brandy Miniat. 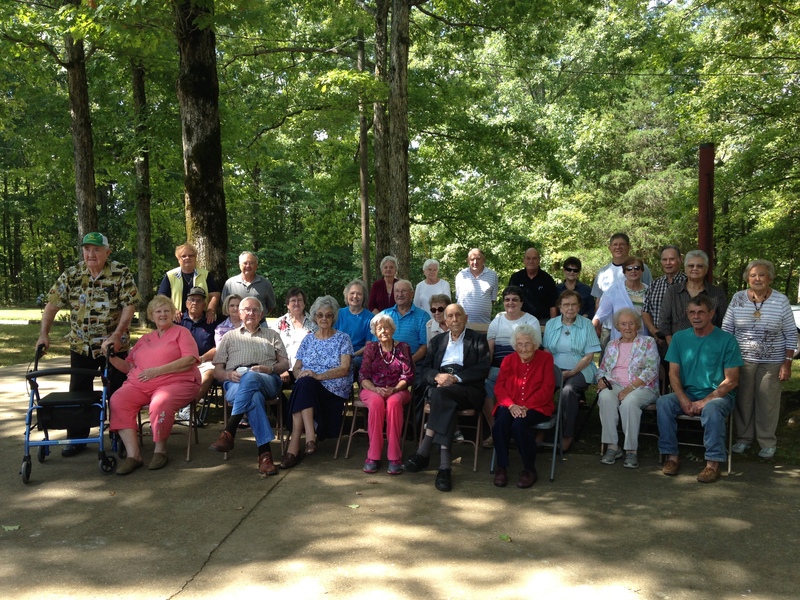 Towns can be social, too.